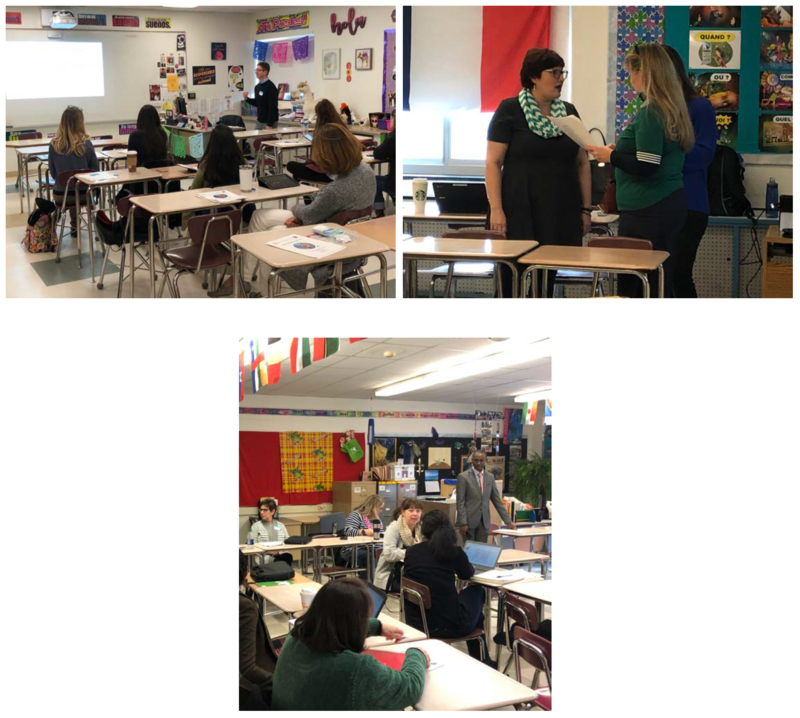 47 educators from the Central New York and Finger Lakes regions attended a workshop organized by Dr. Virginia Levine, Chief of Staff and Vice President for Policy and Accreditation of SUNY Cortland, and Ms. Patricia Martinez and Dr. Paulo Quaglio from SUNY Cortland Modern Languages Department. The workshop was entitled “Designing Articulated Performance Assessment Tasks” facilitated by Dr. Jennifer Eddy of Queens College, principal investigator of the World Languages Standards and Professional Learning Initiative. The audience was a cross section of classroom teachers, administrators, International Baccalaureate Coordinators, and college professors, which provided an ideal environment for a discussion on vertical articulation of the world language curriculum. Dr. Eddy began the morning by introducing Performance Assessment Tasks and articulation across levels. During the remainder of the morning session, participants read and analyzed integrated performance tasks in the interpretive, interpersonal, and presentational modes with can-do statements. Candace Black from NYSED’s Office of Bilingual Education and World Languages gave an update on various initiatives. In the afternoon, educators collaborated to design their own articulated performance assessments, which culminated in a gallery walk of the exemplars.